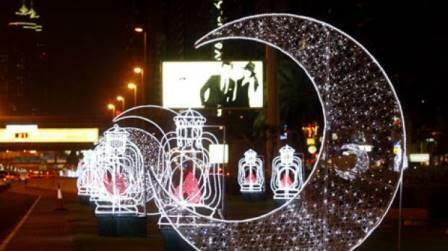 When is Eid most likely in UAE? Dubai: The end of Ramadan and the first day of Eid Al Fitr is less than a fortnight away, and predictions have already started as to when the Muslim festival will fall in the UAE. Eid Al Fitr and Eid Al Adha are the two main Islamic celebrations, translated as the ‘festival of breaking the fast’ and the ‘festival of sacrifice’. Al Jarwan will be gazing at the night sky by June 13, as the new moon that marks the start of the Shawwal month is expected to start appearing, “but we expect to definitely see it after the sunset of June 14,” which makes June 15 the first day of Eid Al Fitr. The Islamic calendar is based on the moon and, according to astronomical calculations, Ramadan this year will last for 29days. Traditionally, Eid Al Fitr is celebrated after the first sighting of the crescent moon shortly after sunset. If the moon is not observed immediately after the 29th day of the lunar month, then it is celebrated the following day.